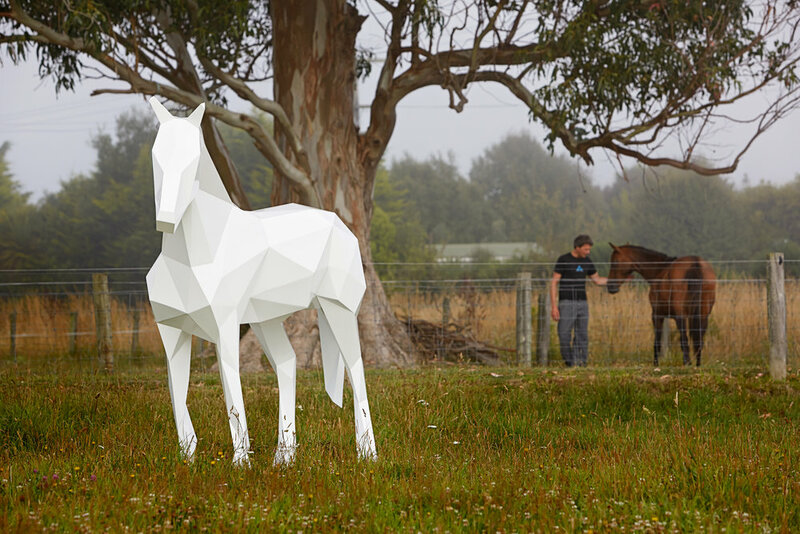 Kaikoura, New Zealand-based sculptor Ben Foster creates modern, inorganic renderings of animals that boast a geometric design. Each sculpture in his portfolio, whether it be a seal balancing an invisible ball, a horse standing in place, or a dog howling at the moon, blurs the lines between the real and abstract. They also each incite spectators to shift their positions to get the full visual spectrum of their complex shape.